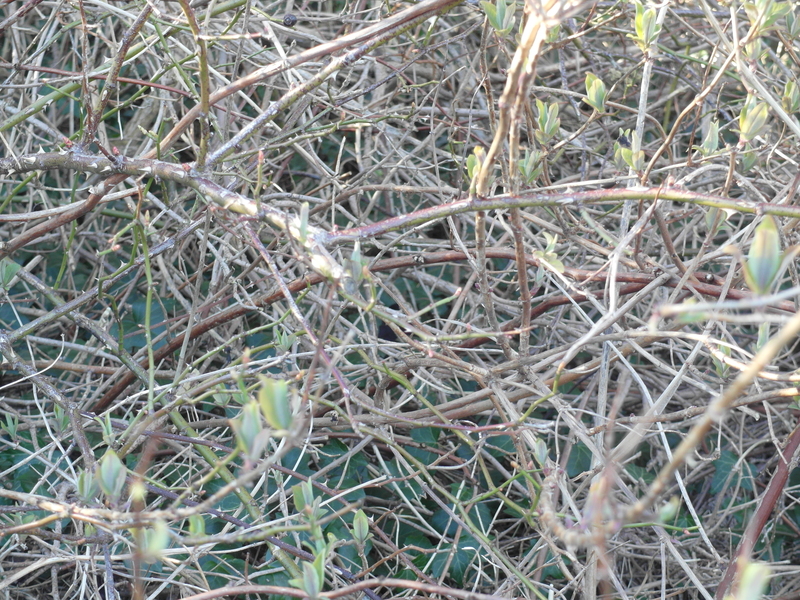 I don’t know if you can see it … I cannot; but I know that a blackbird just recently put up his nest inside this brush. I watched him, this very morning, disappear into the shrubbery. The nights are still quite cold around here, down to around 0°C – but birds are longing for light, and once again flying in from their tropical winter retreats, filling the air with their beautiful songs. Today there are 11,5 hours between sunrise and sunset here in Stavanger. On Jun 21, there will be 18h 38m of daylight – a great many hours for catching insects. In comparison there will only be around 12 hours of daylight around Equator at the June solstice. In early spring every day seems to add a new voice to the choir. 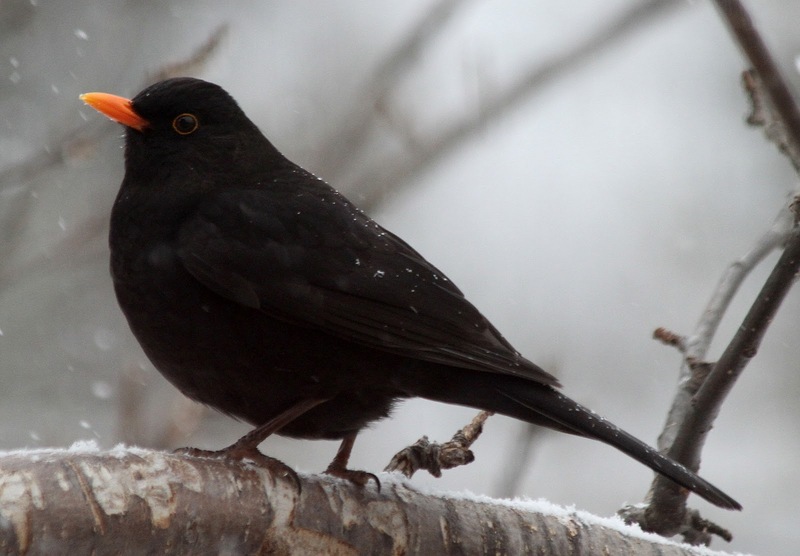 The Blackbird’s melancholic tune is enchantingly beautiful, giving the giddy spring a hint of sadness. Your blackbird is rounder and a bit more delicate than ours. But ours are beginning their spring return as well. (No nest building yet, though).